Storemore Corner Board: The Storemore Corner Board opens up valuable storage space by utilising a corner plot. The Corner Board unit features a gas assisted door opening, a twist knob cylinder lock and integrated ventilation. 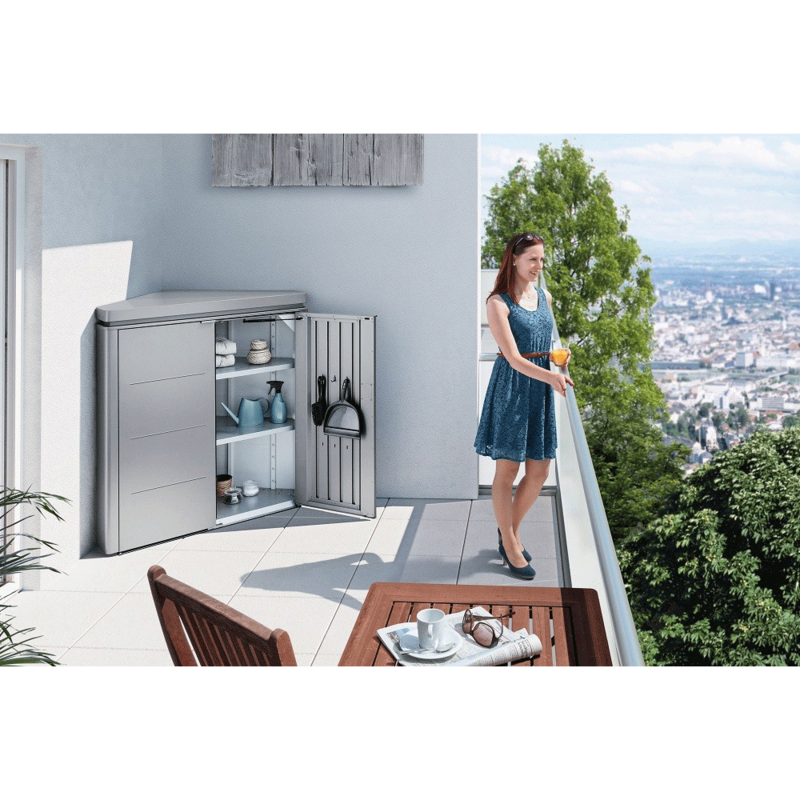 The Storemore Unit a smart, space saver to ensure your terrace or balcony is spacious and tidy. The Corner Board is manufactured from high quality, galvanised and polyamide coated steel with a powder coated aluminium lid.